He worked for I.B.M. as a technician and salesman (1968-1976). Ordained at Christian Methodist Episcopal Church (1975-1978). 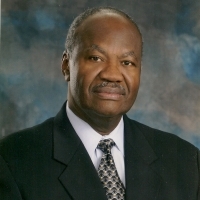 Pastor at King of Kings Christian Center (1993-1999). He attended RHEMA Bible Training Center for two years Program and one more year for Pastor's Program. (1999-2002). Minister in Argentina specializing in Faith & Healing (2001). He went on a Mission Trip to Nicaragua (2007). Minister at Collin County Detention Center (2004-2014).